Here at Flawless Faces we offer a wide variety of DMK Treatments to resolve troubling skin conditions from anti ageing, acne and scar revision to name but a few. The origin of most skin conditions is a result of disharmony in the skin. Using the principles of biochemistry, DMK has formulated a range of treatments and products that encourage your skin to perform like youthful, healthy skin. By matching formulations with the body’s chemistry, the skin is encouraged to respond in a positive manner. DMK’s revolutionary 4 stage concept of REMOVE, REBUILD, PROTECT, MAINTAIN, matches an individual’s biochemistry with the appropriate skin therapy. Botanical based paramedical products deliver superior aesthetic revision. First, we remove the dead skin cell build-up which can lead to the appearance of dry skin, fine lines, congested skin or skin discoloration. DMK uses enzymatic hydrolyzation, a treatment that transforms dead cell material into a weak acid and flushes it away, bringing new skin cells to the surface. In this stage, we protect the skin from the sun, free radicals, glycation and other environmental factors that can lead to premature ageing using potent, natural antioxidants. Lastly, your beautiful skin is maintained with DMK Home Prescriptives to prolong the effects of DMK Skin Treatments. The DMK Concept provides clients with lifelong skin management programs to incorporate into their daily lives. 1. DEEP CLEANSE ENZYME TREATMENT – The Powerful Effect of Enzyme Therapy – The Skin Treatment That Gets Results! ENZYME THERAPY is DMK’s world renowned, signature skin revision treatment designed to rapidly restore the health and natural functioning of your skin enabling it to perform just as it did when it was younger. Reverse osmosis is a “back-flushing” action that forces fluids through the membrane around the cells, cleaning out all impurities (Lipofuscin) and leaving behind a clean, white substance. Lipofuscin is a free radical substance, created by sun damage or other trauma to the skin. The tightening action of the enzyme treatment has the effect of actually exercising the facial muscles. This tones and tightens the facial muscles without having to physically exercise them yourself. The result is firmer, smoother, tighter skin. Your skin is dependant on a rich supply of blood and healthy, properly functioning blood vessels to transport the blood to the skin cells. Your face, in particular, has many blood vessels. The lymphatic system of the body is the filtering system for the blood. The lymphatic system consists of a network of lymph nodes, lymph and lymph vessels found in various regions throughout the body including the face and neck. DMK’s MUSCLE BANDING Treatment is an age management treatment designed to fight against the decline that causes ageing. This treatment is suitable for both men and women who want a highly effective age management treatment that will prevent the signs of ageing from manifesting rapidly. The term “banding” refers to the technique used during the application of the DMK Enzyme Masque which is designed to act directly upon the muscles of the face. MUSCLE BANDING is a preventative anti-ageing treatment designed for use by anyone. It is the ideal treatment for anyone who is at an age where noticeable signs of ageing are just starting to appear – usually around the age of thirty to forty. 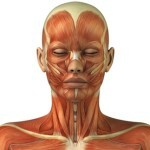 Your face and neck contains many muscles which are used to control the movement of your head, jaw and mouth. Just like other muscles in the body, they can be expanded or contracted under tension. Naturally with age and lack of exercise, these muscles weaken to cause sagging skin and a loss of firmness. 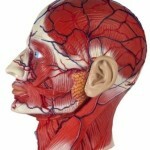 MUSCLE BANDING works by sending signals to contract the muscles of the face and neck. MUSCLE BANDING is like lifting weights at the gym to strengthen and tone the muscles of the body. Lifting weights causes the muscles to contract which increases blood circulation and builds stronger, firmer muscle tissue. What this means for you is a tighter, firmer skin and a healthy glowing complexion without sagging jowls. 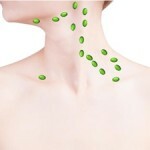 Tighter skin also means that wrinkles, creases or fine lines will be greatly reduced leaving a smoother texture behind. Your face contains 57 muscles. The neck contains a large muscle called the Platysma Muscle which extends around the front of the neck and beneath the chin. The purpose of DMK MUSCLE BANDING is to strengthen and tighten these muscles. Ageing is the result of a loss of function in the skin. 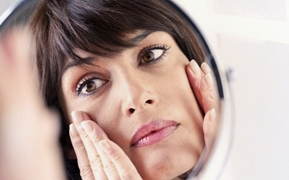 This means that the skin’s own natural processes weaken with age. DMK’s MUSCLE BANDING Treatment actually stimulates the skin in such a way that it restores these natural processes and functions helping the skin to do what it’s meant to do in a natural way. DMK recommends undergoing a yearly course of MUSCLE BANDING to keep your skin stimulated and your muscles toned. The more regular the treatments, the better, meaning that you will retain your good looks for a very long time. INSTANT LIFT uses DMK’s powerful enzyme therapy treatment combined with other, unique DMK formulations all designed to lift, tone and brighten your skin. Besides restoring your skin’s natural processes and functioning, enzyme therapy stimulates the capillaries of your face and neck to promote the supply of nutrient-rich, oxygenated blood to the skin – nourishing your skin to give it a healthy, glowing appearance. The enzyme masque used in INSTANT LIFT also flushes away dead cell material, toxins and other impurities from the skin leaving your skin fresh and clean. Multiple Skin Problems – One Powerful Solution! This highly versatile skin revision method has dozens of uses in treating a multitude of skin disorders and problem skin conditions. It can be used anywhere on the face or body and is suitable for males and females of any age or skin type. DMK’s amazing ALKALINE WASH system is a unique formula that takes the pH of the skin to the opposite end of the pH Scale. The ALKALINE WASH has the ability to turn the pH of the skin from 5.6 to a pH of 12 in under three minutes. This action completely softens or desquamates the skin cells. This dissolving action works on scar tissue, facial hair, razor bumps, acne on male backs and any unwanted hair on any part of the body without the use of harmful acids. Alkaline swells, softens and dissolves skin whereas an acid hardens it, causing skin cells to pop off. This unique formula does not discriminate as to what kind of dead protein is dissolved so it will dissolve hair as well. This makes it very effective for the removal of unwanted hair on the body or face. This method is highly effective for the treatment of dark spot pigmentation problems. By alkalizing the spot first, it allows the DMK melanin inhibitors and skin lightening products to work much faster than any other method using acids. ALKALINE WASH is a highly effective and versatile skin revision method that delivers radical results in a very short time. Many users have found ALKALINE WASH to be a superior tool when treating difficult conditions such as pigmentation, acne, resurfacing scar removal and stretch marks. To achieve the desired results, ALKALINE WASH is used in conjunction with a variety of other DMK Professional Products and a course of DMK Home Prescriptives. It is also combined with other DMK Professional Treatments for optimal results. ALKALINE WASH Is Unsurpassed By Other Skin Revision Methods, Simply Delivering REAL, Lasting Results! The treatment is extremely versatile with a wide margin of flexibility in regard to its application and use. An advanced skin technician can become very creative in applying ALKALINE WASH to treat the most difficult, stubborn skin conditions, delivering amazing results in record time. 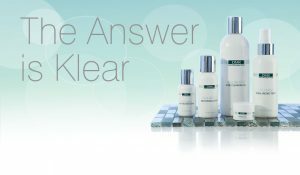 Probably the world’s most versatile, advanced skin revision method that truly delivers results. Advanced Skin Revision Methods Delivering Real Results! DMK’s unique method of scar revision is highly effective at reducing scar tissue and smoothing uneven skin textures and tones. Many clients come to us after using ineffective scar treatment products which work topically rather than remodeling the skin back to form a firm, flat surface. Now at last, there is a method that really works to give you clear, smooth skin and help you regain your confidence. There are many crèmes on the market that claim to eliminate scars. The truth is that most of these are ineffective. Scars actually need a treatment protocol to “re-damage” and remove the scarred tissue, and then rebuild a stronger firmer tissue underneath. DMK stimulates the rebuilding process with ENZYME THERAPY. Simply rubbing crèmes or lotions on to the skin’s surface will not remove or reduce scars. After a thorough skin diagnosis, a treatment program will be established according to the type of scar tissue, and the clients genetic colouring. Scar revision sometimes requires a combination of the DMK resurfacing procedures. To revise scarring we must remove and rebuild at the same time. This process creates a restorative effect. DMK utilizes a formulation that dissolves and softens the area just enough to stimulate the re-knitting mechanisms of the tissue. Then we rebuild and repair the area in a smoother, firmer fashion. By design, DMK’s scar revision treatment encourages the skin to go into a repair phase that enables it to become even and smooth again. 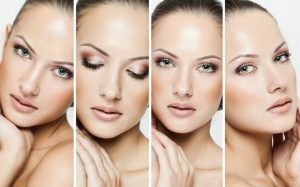 The treatment process for scarring, involves a combination of DMK’s unique treatments and special skincare formulations to give you the results you want. ENZYME THERAPY – Scars on ageing skin tend to look deeper or more predominant as the skin loosens with age, particularly in the case of ice pick acne scars. Tightening the skin with enzyme treatments gives a progressive lift to the tissues which also smoothes out the appearance of scars as the skin becomes firmer. Bruises generally occur after a heavy blow to the skin which damages blood vessels in the underlying skin tissue. Broken blood vessels cause blood to leak to the surface of the skin. This is what gives bruised skin its bluish-purplish color. Another factor that causes discoloration of the skin, is the way the body responds when injured. Each time the skin is traumatized in some way, the body responds by rushing melanin to the surface of the skin to protect it. Excess melanin near the surface of the skin is what causes a darkening of the skin in the affected area. The colour of a bruise changes with time as the discharged blood is dispersed into the rest of the body. Initially the bruised area will be reddish which turns dark blue or purple within a day or two. After a few days, the colour turns green and then to a yellowish brown colour. The colour usually returns to normal after a few weeks as the body heals itself. Besides a blow to the skin, bruises can also be caused by surgery. This is natural because blood vessels are severed during the operation. As we become older, our blood vessels become thinner and more fragile. This makes the blood vessels more prone to breaking and being easily damaged. This is why the elderly bruise so easily at the slightest bump or fall. Medications, drugs or a deficiency of essential vitamins can interfere with the natural processes of the blood and normal functioning of the blood vessels. Functions such as clotting may become impaired causing bleeding into the skin. Bruises generally tend to clear up on their own through the body’s own natural healing process. However in severe cases of injury such as accident victims or trauma caused by surgery, the healing process can be speeded up using DMK skin revision treatments or topical solutions. DMK’s ENZYME THERAPY Treatment is excellent for bruises because it works to accelerate the skin’s own natural healing processes at cellular level. This leads to rapid healing of damaged skin tissue and a clearing of the bruised areas. Home treatment for bruises may consist of DMK BIOGEN C CREME which is a highly effective topical solution. This powerful formula with its unique transdermal properties has been specifically designed to penetrate deeply into the skin to act on severely traumatized skin tissue such as in the case of post-operative surgery or accident victims. Deep, pitted acne scars or ugly, bad bruises are a thing of the past. Whether you have a scar from an old injury or an operation, you don’t have to live with it for the rest of you life. DMK is the answer! This program is also designed for those who can’t have a DMK PRO ALPHA SIX LAYER PEEL treatment but want accelerated results. It is an alternative resurfacing method that does not involve deep peeling of the skin. HYDRADERMAZE is a weekly treatment protocol that is performed over a period of six, eight or twelve weeks depending on skin condition and the desired results.